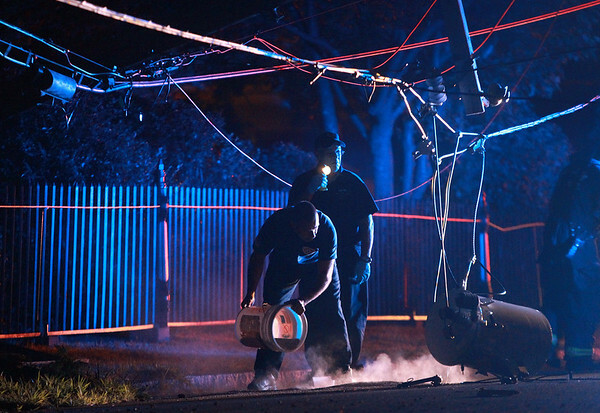 A Salem firefighter pours down some sand or moisture absorber to prevent a liquid leak from a downed transformer on Appleton Street in Salem early on Thursday morning after a pickup truck flipped over and barreled through the fence and into Greenlawn Cemetery. DAVID LE/Staff photo. 8/7/14.